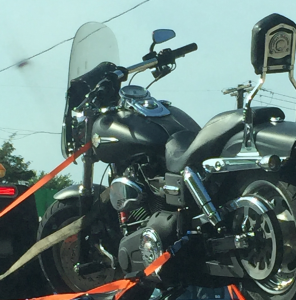 Elite Towing & Transport Inc. is proud to offer motorcycle towing in the Long Island area no matter what the make or model of your motorcycle. There are roughly 345,816 registered Motorcycles in the state of New York, according to a poll taken in 2013. With 20 years experience and one of the largest fleets of tow trucks, we have become one of the leading motorcycle towing companies in Nassau County as well as Suffolk County. Elite Towing & Transport’s employees have won the American Towman Award, a distinct honor for customer service. They are leading experts when it comes to motorcycle towing and will handle your motorcycle with extreme care. Elite Towing & Transport Inc. has the latest in towing technology and equipment such as Condor’s motorcycle towing cradles. This gives us the ability to transport your motorcycle from Point A to Point B without any damage! We can either tow you to your local mechanic if you were in an accident or if you are an avid motorcycle collector we can help you transport your motorcycles to the local motorcycle expos. We are fully licensed and insured and we provide prompt, professional and courteous service. If you find yourself stranded on the side of the road and you are in need of motorcycle towing, don’t hesitate to contact us at (631) 737-8439 first! 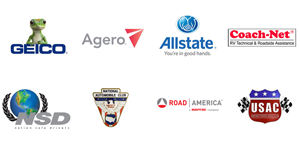 We are open 24 hours a day, 7 days a week for emergency roadside assistance! Elite Towing & Transport Inc.